The TransRockies Run is organized by TransRockies US LP. With decades of high level event organization experience including the first World Cup mountain bike events, the TransRockies Team is widely regarded as being among the best in the world of outdoor and adventure sport. The group currently manages the GORE-TEX® TransAlpine Run (Europe, founded in 2005), the CRAFT Bike Transalp Challenge (Europe, founded in 1998), the TransRockies Bike (Canada, founded in 2002) and the CRAFT Bike Trans Germany Challenge (Founded in 2007). In surveys, events like the TransRockies Challenge have received participant satisfaction ratings of over 96 per cent. To some, the idea of finding one’s self on a steep and narrow dirt trail on a windswept ridge high in the Rocky Mountains is a ludicrous notion. For others, it’s something to train for by day and dream about by night. TransRockies events are known worldwide for their unparalleled epic nature – journeys so breathtaking and rewarding that many participants come back year after year, often bringing friends with them. These folks know something the average person does not; that the great outdoors are full of wild possibility and unequaled challenge that cannot be harnessed but only borrowed in brief moments, and only for an adventurous few. At its heart, the TransRockies organization is an advocate of wild places. We know that accessing remote and untamed terrain is a privilege that comes with responsibilities, and we strongly believe in not only treading lightly in the places we visit but also actively contributing to their continued protection and well-being. We also believe that awareness and appreciation for such places can be attained and strengthened through events such as the TransRockies Run, which abides by and promotes the recreational principles laid out by the Leave No Trace Center for Outdoor Ethics. In its inaugural year, the TransRockies Run defined a new standard in an epic running adventure in North America – one that gives participants a spectacular taste of Colorado’s backcountry without compromising the sensational rugged beauty of the Rocky Mountains. Our aim is to ensure this legacy continues for years to come. When it comes to producing world-class adventure races, no detail is too big or too small for consideration. In fact, with events as large as the TransRockies Run it’s often the smaller details that have the biggest impact on overall success. Environmental considerations fall into both categories –the principle of treading lightly is applied to all aspects of planning, from something as large as route planning to as small as ensuring there are adequate recycling bins. Ensuring the event’s footprint is small and sustainable is a continuous process; with every new development comes a review of the potential impacts and a plan to eliminate or mitigate environmental stresses. Littering, cutting trails and environmental abuse are enforced with stiff penalties. Every participant who is caught disregarding the environment will be fined with a two-hour time penalty it first offense and disqualification at second offense. In the case of environmental and safety concerns, TransRockies organizers have the right to make changes to the route on short notice due to fire bans/closures, extreme weather, wildlife concerns, unforeseen construction or other circumstances beyond our control. 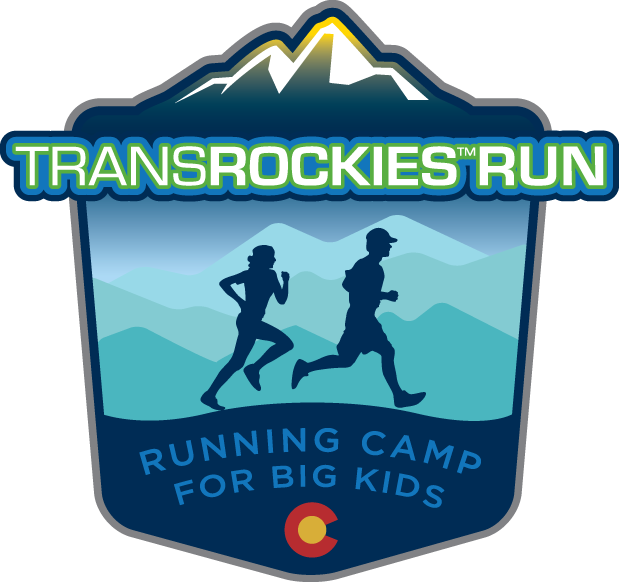 TransRockies reserves the right to cancel, delay or re-route the race. In addition to enforceable rules, TransRockies makes an effort to share some environmental conscience ideas with its participants to aid in lessening the overall impact of the TransRockies Run on the environment and surrounding communities. Carpool to and from the race if possible, or make use of the transfers provided, to minimize your carbon footprint. Using an airport shuttle service will have less impact than a personal vehicle. Purchase goods and services in the communities along the race route (for example, groceries) where possible, to support the economies that welcome us and to lower your individual carbon footprint by not transporting goods great distances that can easily be bought locally. Consider your neighbors – both human and animal – in staging camps and communities and keep noise to a minimum. Remember, TransRockies events are fully supported. While we welcome family and friends, you don’t need them to follow the event to have all the support you need. Encourage your family and friends to attend the start and finish only. This will help to minimize the cumulative impact at TransRockies camps.